A professional musician from his high school days, Bob DelFausse discovered early on that he had the knack for improvising. Starting in his 20s in New York City, he played trumpet with a variety of bands–swing big bands, show bands, small combos, and Latin bands of all kinds. After earning his graduate degrees in music (MA in Trumpet Performance and PhD in Music Theory), he taught at Western Wyoming College, where he directed the orchestra and jazz ensemble, and then at Wagner College on Staten Island, NY, where he directed the concert band and jazz ensemble, and taught music theory, conducting, and trumpet. During his 23 years at Wagner, Bob performed regularly with the Riverside Brass, a brass quintet, and composed many chamber works for this and other chamber groups. He also works as a jazz pianist. Retired from Wagner College. Bob lives with his wife, cellist Ann Alton, in Venice, Florida, and has become heavily involved with the musical scene in this area. 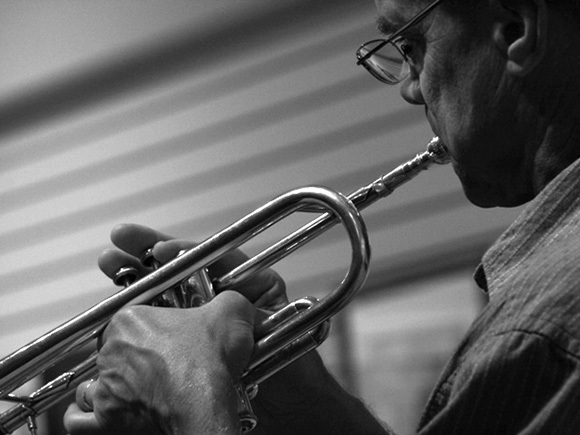 He not only serves as the conductor and co-director of the Venice Community Orchestra, for which he is the principal music arranger, but he plays trumpet or piano with one band or another nearly every day of the week. In addition to his conducting duties, he performs with the Sarasota Jazz Project, Sophisticated Swing, the Savory Swing big band, the Royal Aires, the Gentlemen of Jazz, the Good Time Groove and the Jerry White band. As a child, Ann Alton started cello study with her mother, the esteemed cellist Ardyth Alton. Awarded a full scholarship, Ann studied at the Juilliard School where she earned Bachelor and Master of Music degrees. She received her Doctorate of Music from the Manhattan School of Music as a fellowship recipient student of world renowned cellist Bernard Greenhouse. 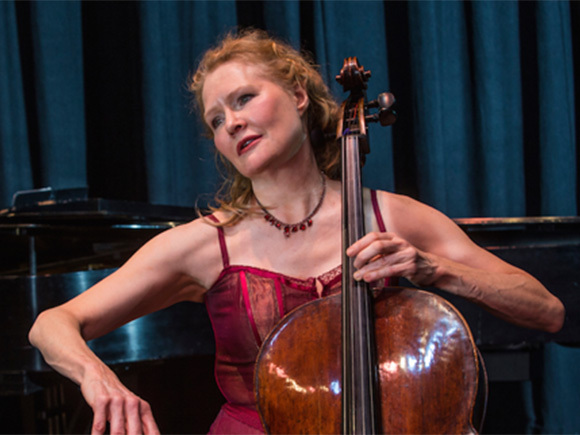 As a concert cellist, Ann has won numerous awards and has performed as soloist and chamber musician at Lincoln Center, Carnegie Hall, Alice Tully Hall, Weill Hall and other prestigious concert venues. Her performances have been broadcast on American and German Public Television and National Public Radio. In addition to playing a vast repertoire of sonatas and solo cello works, she has been featured as soloist with numerous ensembles. A dedicated teacher, Ann has taught cello at Concordia College (MN), the State University of New York at Purchase, the Manhattan School of Music, Clinton Community College, Skidmore College and now State College of Florida. She has also taught highly gifted young cellists at the Manhattan School of Music Preparatory Division and, for almost two decades, at the PreCollege Division of the Juilliard School. She serves as the co-director of the Venice Community Orchestra with her husband Bob DelFausse.